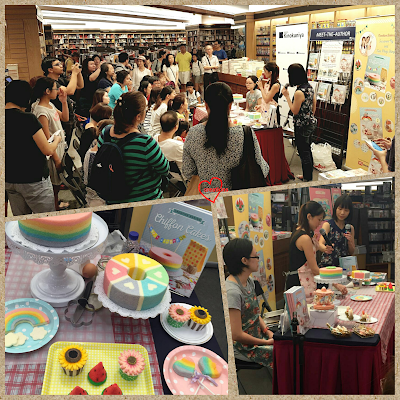 (20/10/17) Creative Chiffon book 3, a most comprehensive Deco Chiffon Cake Basics book is launched. The 3rd book is a step-by-step picture guide to Basic Techniques and recipes centred around the pictures! (20/9/16) Creative Chiffon Book 2, titled Creative Baking: Deco Chiffon Cakes is launched at all major bookstores. 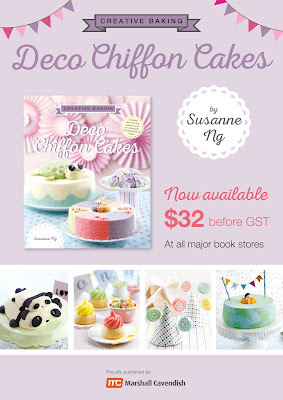 The second chiffon book covers more innovative 3D patterns, festive cakes, cute animals (character chiffon), and trending flavours like salted egg yolk lava chiffon cake! And an extended 6-page troubleshooting FAQ section for creative chiffons and free basic recipe! (10/4/16) A Bestseller cookbook that sold out its first print run in 3 months. 2nd print run in shops from mid-April 2016! 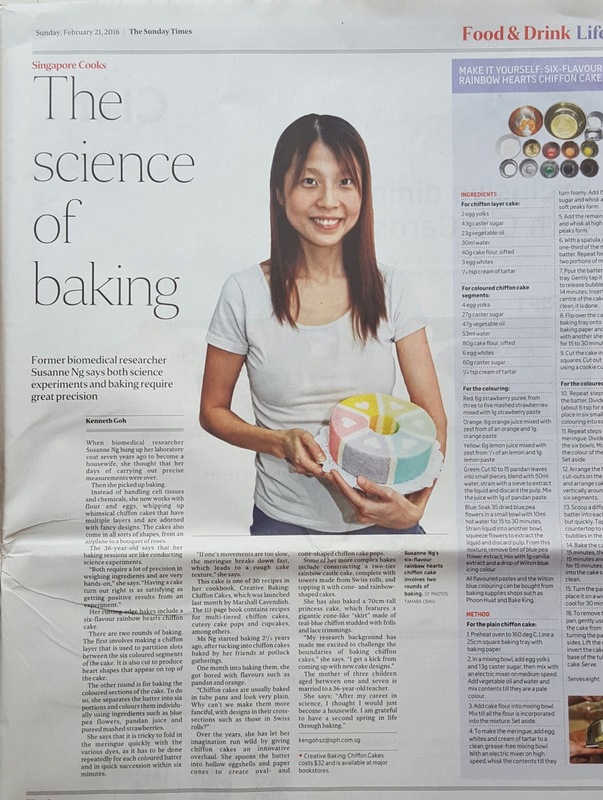 (31/1/16): Creative Baking: Chiffon Cakes makes Strait Times Bestsellers list for non-fiction! Thanks everyone for your support! (6/2/16): A Bestseller book in Kinokuniya SG! 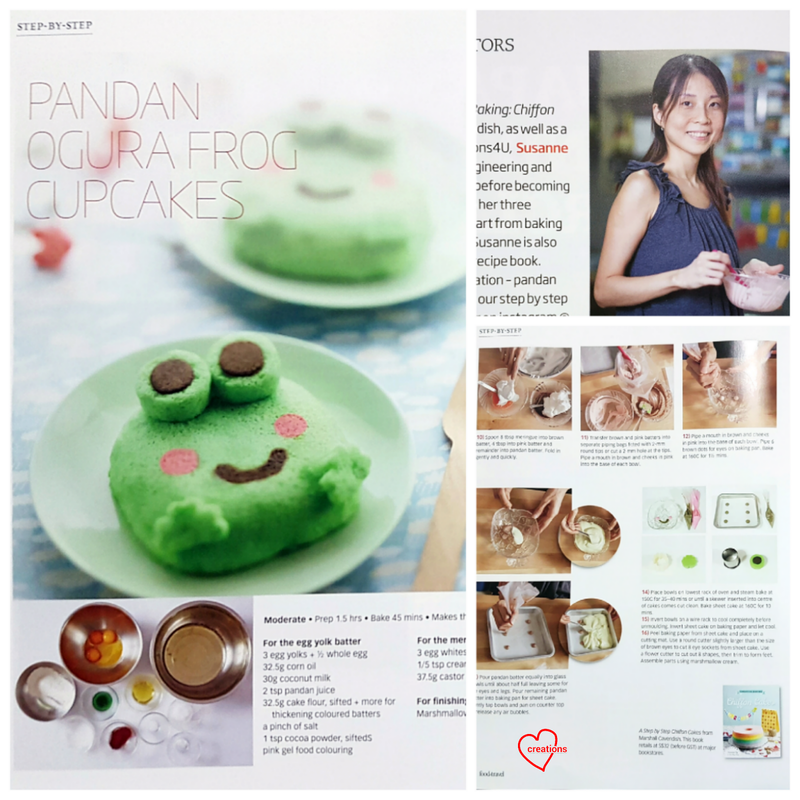 Singapore - Creative Baking: Chiffon Cakes is available at Kinokuniya, Popular, Times and all major bookstores (from Jan 16 2016). 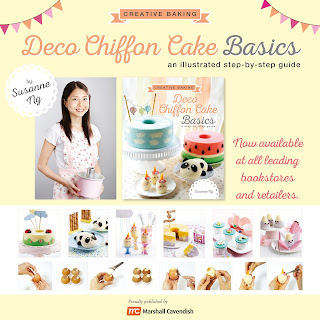 Malaysia - Creative Baking: Chiffon Cakes is available at Kinokuniya and MPH online. It was sold out at MPH bookstores so only available at MPH online now (from Feb 2016). 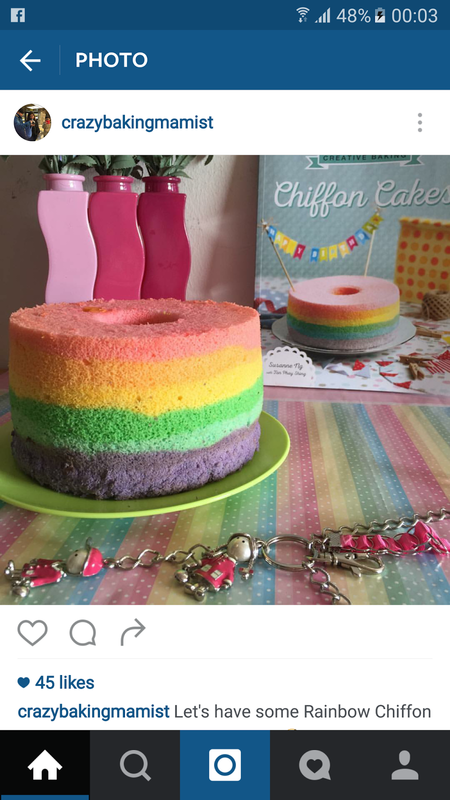 Other countries - Creative Baking: Chiffon Cakes will be available in neighboring countries like Indonesia from March in Kinokuniya, and Australia (Melbourne) from June. 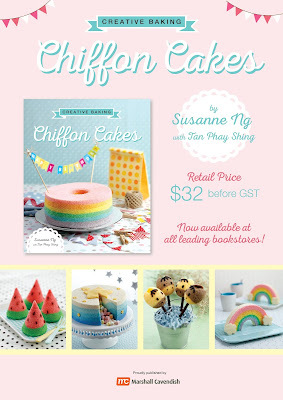 Online stores - Creative Baking: Chiffon Cakes is available on Book Depository, Kinokuniya online and Amazon! 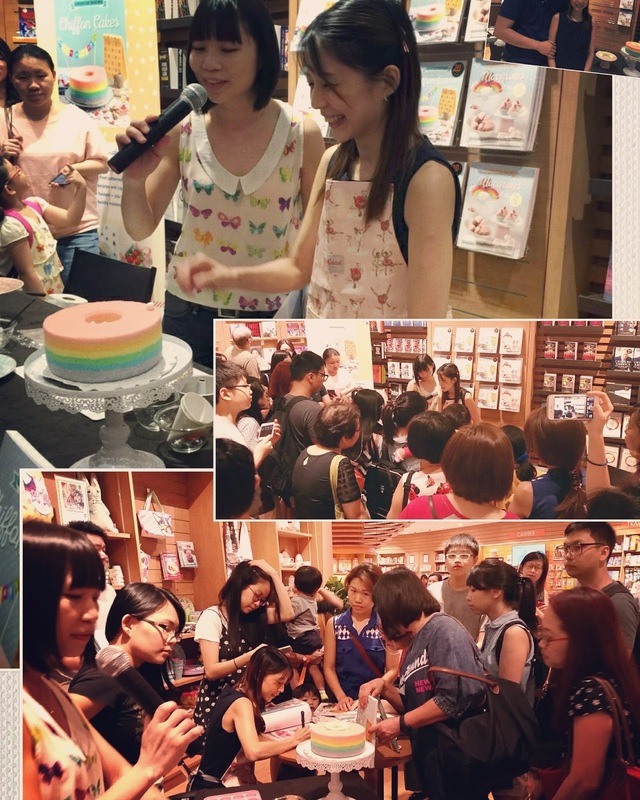 6 Flavour Rainbow Hearts Chiffon Cake Demo in the book Creative Baking: Chiffon Cakes! News feature in Straits Times! 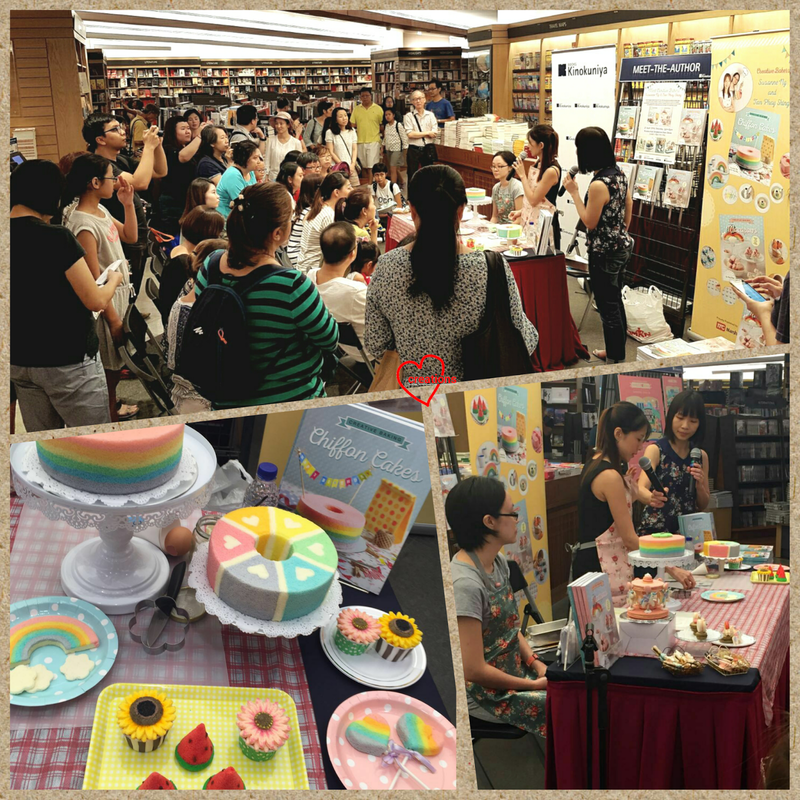 (24/4/16) Creative Chiffon Cakes demo and display at the joint Creative baking books event @ Kinokuniya, Ngee Ann City. It was really fun and encouraging! A big big thank you to everyone! (2/4/16): My first book event! 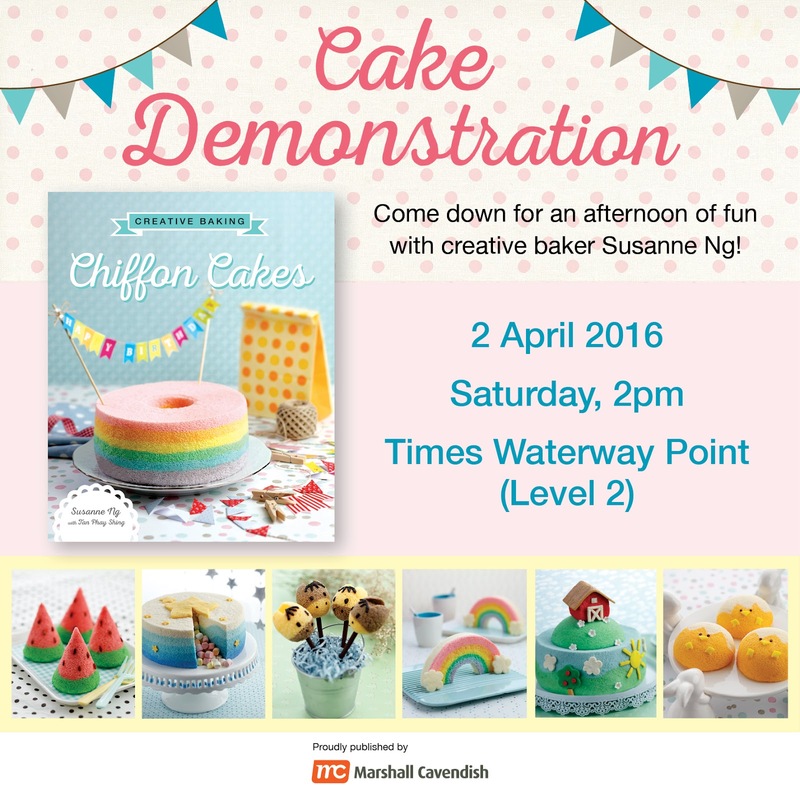 Creative Chiffon Cakes Book event @ Times Punggol Waterway. A big thank you to everyone who came and supported! Very blessed to have three Creative Baking books with Marshall Cavendish in the pipeline! It was really a great privilege to work with the pros and a very good learning experience! 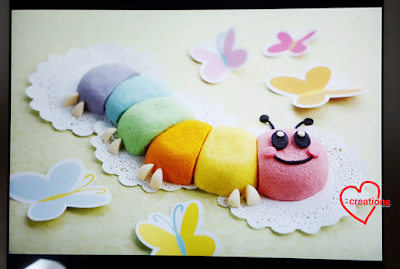 The first is a Creative Chiffon Cakes book, which has a cute collection of chiffon cupcakes/pops, multi-colored chiffon cakes, patterned chiffon cakes, hidden chiffon cakes and shaped chiffon cakes! 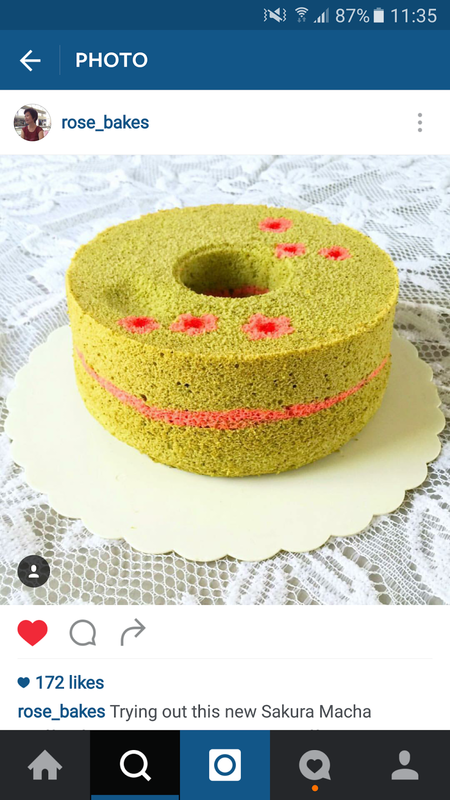 I'll be the main author of this book, sharing more on the big chiffon cakes. Here are some photos and details to share for the Creative macarons photoshoot and book :). Here are some sneak peeks into the Photoshoots for the Creative Chiffon Cakes book! Photoshoot 3: Decorated, Patterned, Hidden and Shaped chiffon cakes! 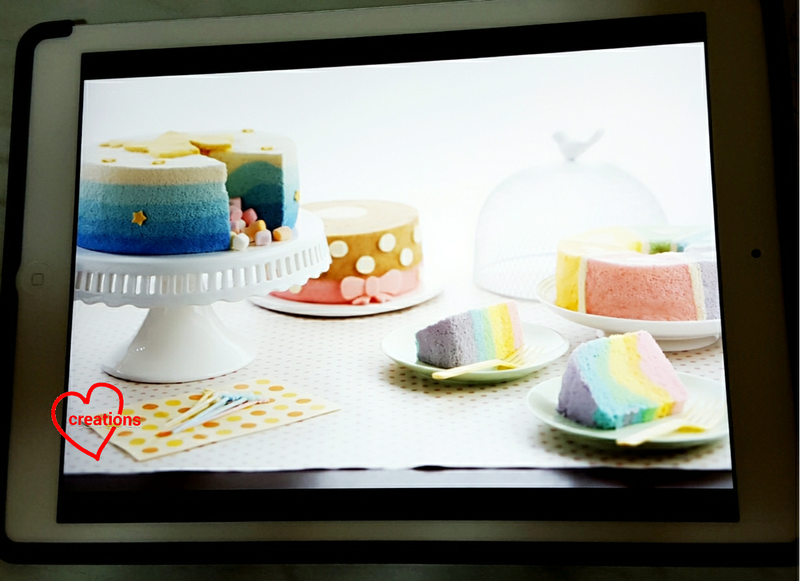 Photoshoot 2: Multi-colored Chiffon Cakes! Rainbow, ombre, dual-colored etc. Photoshoot 1: Chiffon Cupcakes/Cake pops! All photo credits and styling to the talented people at Marshall Cavendish! 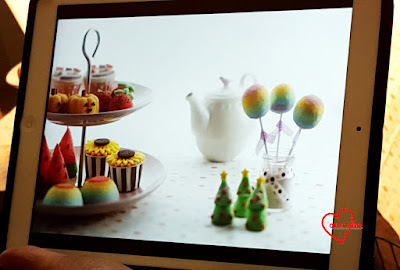 The book is not all about pretty pictures, but it is a Recipe book with detailed picture tutorials covering the Basics as well as for each recipe. 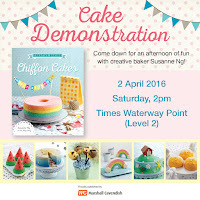 It will also cover Tips for getting the fluffiest, prettiest chiffon cakes as well as a Troubleshooting section. 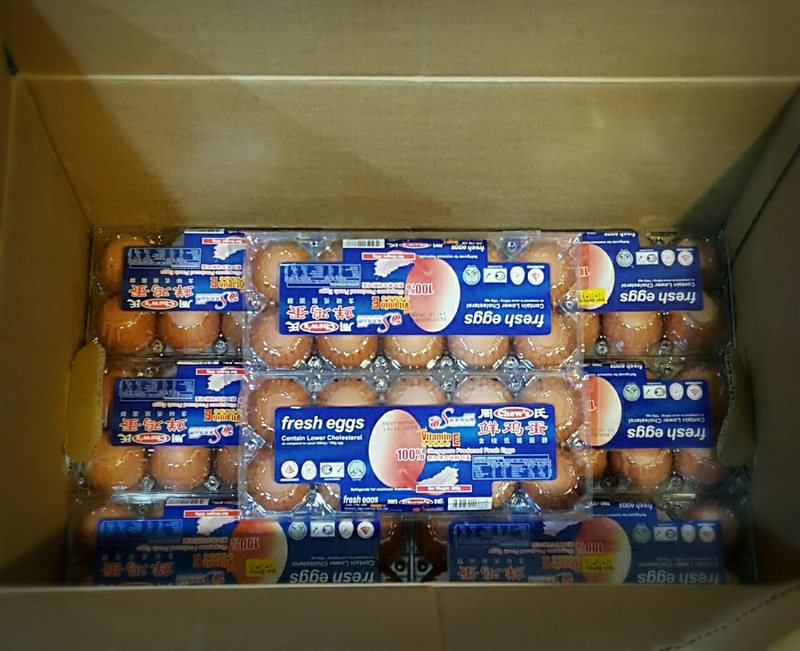 We like to thank Phoon Huat and Chew's eggs for their generous sponsorship of the ingredients for the book! 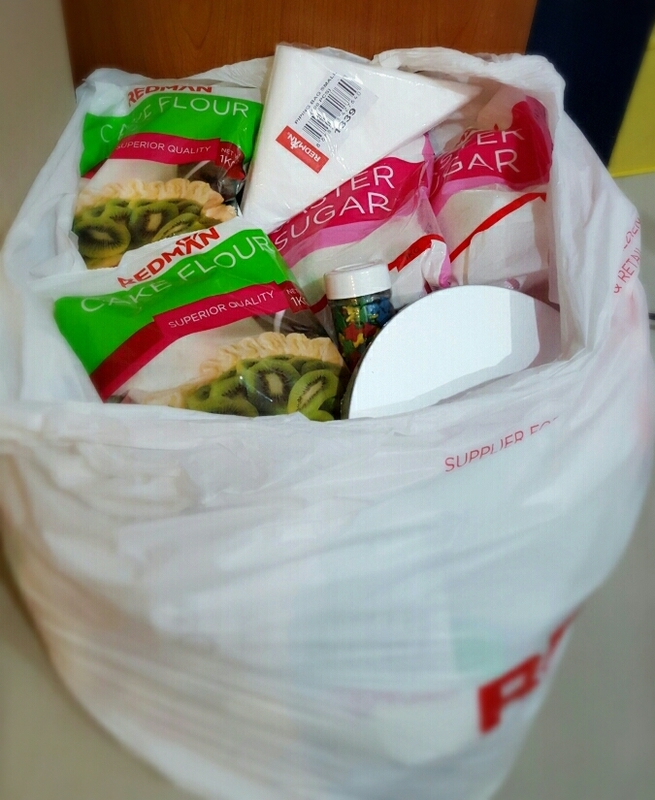 I absolutely love the quality of the Redman castor sugar and flour! 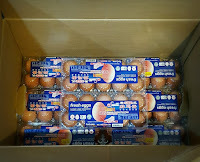 And I only trust Chew's fresh eggs for the shiny meringue of my creative chiffon cakes! Creative Baking: Chiffon Cakes will be out at Kinokuniya, Times and bigger Popular stores in Jan 2016. Really thank God and the team again! Here's featuring wonderful bakers who have tried out the recipes in the book and made their chiffon cakes so beautifully! Congrats! very lovely pics ... as always love your creations! Thanks so much for your encouragement and support as always :). We are really privileged to be able to work with such a good and professional team from Marshall Cavendish! Congratz! Cannot wait to see the book :) Always love your creative creations.. Thanks dear Sharon! You were always so encouraging, even right from the start before blogging! Thanks lots babe! Thanks Sharon!! Agree with Susanne! Thanks for being so encouraging from way back at the beginning of our baking journey! Love your blog! Thanks dear Kenneth!! You helped us a lot, especially at the start, with the pinterest and group and everything! Thanks so much for helping so many people! Thanks Kenneth for your encouragement and helping us newbies start off! You have been very kind and generous! Congrats girls, feeling so proud for you both, bravo! Thanks Karacakes Grace =) God bless! Hi, I am interested in buying your preorder. Can you send the book overseas to Australia? Thanks Joyz for your support! Sorry the preorder is mainly for friends residing in Singapore. It should be available in a few months online from amazon and book depository etc. I've actually have another 2 friends from Australia interested. Perhaps I'll ask the editor and get back to you where it can be found there? Thank you! Congratulations on the book! Can't tell you enough how talented both of you are and how happy you've made me and all my party guests with your creations and bakes! Thanks dear Natasha! It's really been a great joy and blessing to bake for you!! Thanks for your encouragement always! God Bless U! I have pre-ordered your book but I cannot find my record of order or payment. I have opt for delivery and had paid thru Visa. Would it be possible to check?? Order was done before the close on 29 Nov.
Hi Ivy, thanks I have received the payment, and will update you when the book is here and ready for delivery. Thanks! I am deeply inspired by you! Wonder if i can order one copy for myself? Can you please let me how to order? Hi Ivy, preorders have now closed. You can wait till mid Jan for the official launch in bookstores. Will keep you posted through the blog. Merry Christmas! Thanks Missus S! There will be.. a few months down the road =) Happy new year!! hihi! may I know if thebook is still available? how can I order? I want to buy *2. Thank you! Hi Susanne, how do u make the colours for the chiffon cake & its so neatly done. I use wilton colour gel. As it's very concentrated, usually people just dip a toothpick in it to and then use it to stir into the batter. The pics in the book should help you =) thx! Is it possible to get the book since I live in Indonesia? Thanks it will be available at Kinokuniya in Indonesia in March. Thank you! Hi Susanne, Just bought your book and am very excited about trying them out! 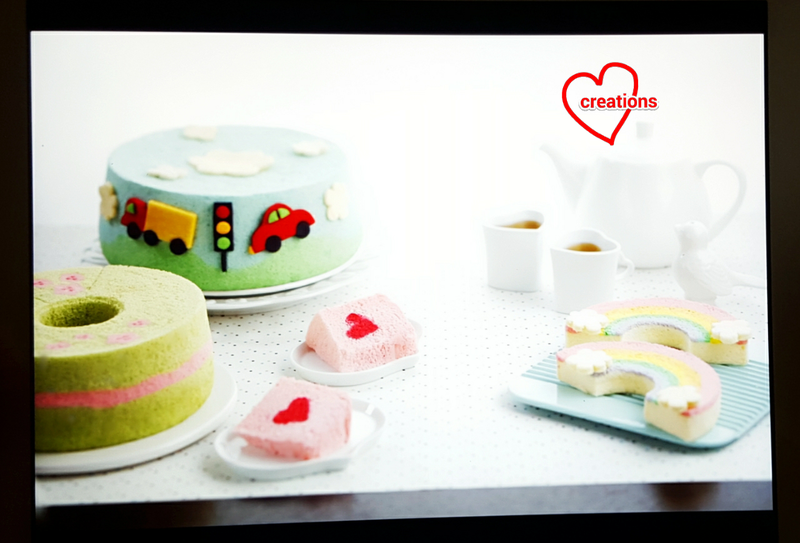 For the six flavour rainbow hearts cake, for the strawberry puree & paste, orange & lemon paste, do you make them or buy them from shops? Blueberry powder & extract I suppose is from the shops. Your creations are so amazing! Dear Michelle, thanks for your support and encouragement! Strawberry puree is homemade. Strawberry paste, orange and lemon paste are from shops. May I know how to make strawberry puree? Hi, can I buy your book at Popular bookstore? Yes it's available at all major bookstores including Popular and Kinokuniya.. thank u! Congratulations and very happy for you. Hi Phay Shing & Susanne, I really love yr great creation. It is so beautiful n marvellous. I have just bought yr books on Macrons just a few days ago. My daughter's 21st birthday coming, so I was thinking how I can tried to figure out the Rilakumar figurine just like Susanne does for Korilakkuma and Kiritori. But I couldn't find. Will you be able to take order for one or two Rilakumar figurine? I wanted to give her a surprise because she love Rilakumar so much. I chance upon Natty's blog and got to know about the peppa pig cake and cookies. I'm hosting a birthday party for my daughter and would like to order the cake. Could you provide your contact or you may contact me at my mobile 97967635. Hi Laurence, the book are be found from amazon fr. Thank you! Hi Linda, sorry I missed out on your question. You can find it at Kinokuniya in Australia, or book depository and amazon (links above). Thank you! Do you deliver the new book to Malaysia? Dear Kee, sorry I think my courier doesn't deliver to Malaysia. Perhaps you can wait around 2 months for it to be available in Malaysia at Kinokuniya, MPHonline and some Popular? Thank you and sorry! Thanks, Susanne! I juz got ur first book last weekend. Love it! How to buy ur books? Where can i buy your books in Melbourne?